A colleague had tickets to the China Disabled People's Performing Art Troupe and invited several of us to watch their My Dream performance. It was amazing and mindblowing to think that every performer is disabled in some way. I didn't enjoy the singing as much as I did the dancing, so here are some videos of the performances we watched. It was pretty damn cool! I know, work's been absolutely crazy and I haven't had time to check in on the comms/forums. The meet sounds like the most amazing one yet! At the first stage, I can't confirm yet due to work, but I'll let you know next week when I get back from Melbourne. Thanks for the heads up! 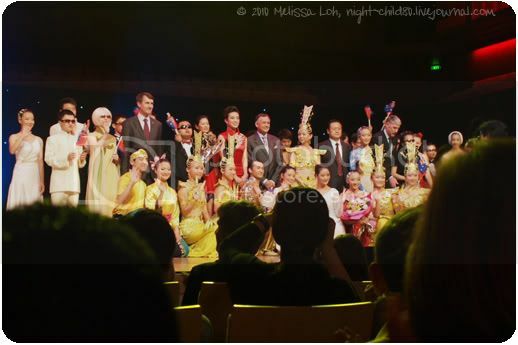 I am reminded of our thousand arm loli lol.I always love china dance troupe performances. Always so breathtaking. Particularly when these performers are all disabled in some way, such as the dancers are deaf or blind. This page was loaded Apr 22nd 2019, 3:04 am GMT.